Almost a whole year ago, we reviewed the Raiju, a "pro" controller for PlayStation 4 from Razer. We walked away pretty impressed with the pad, praising its overall build quality, responsive face buttons, and comfortable triggers. However, its directional pad and shoulder bumpers did leave quite a bit to be desired, and an expensive price point meant that we could only recommend it to those who really cared. Jump to the present day and we've been putting the officially licensed Razer Raiju Ultimate to the test. This new controller is designed to be an upgrade on the regular Raiju and it sports a similarly hefty price tag, but does it do a better job of justifying it? We've spent around 150 total hours of game time with the Ultimate in order to find out. First up, let's talk about the overall build quality. Simply put, the Raiju Ultimate feels like a high-end controller. Just hold the thing in your hands and you can immediately tell that the materials are top notch, and there's a nice, solid weight to the device. How much weight? Well, it's certainly heavier than your standard DualShock 4, but we dare say that those of you with larger hands will find the Ultimate to be more accommodating than Sony's standard pad. The added heft arguably allows the Ultimate to sit better in a relaxed grasp. What's more, the contours of the controller make for a very comfortable shape, with your index fingers curling perfectly over the shoulder buttons and triggers. Speaking of buttons and triggers, the Ultimate's face buttons are built pretty much identically to those of the standard Raiju's -- but that's not a complaint. We're once again presented with some smooth inputs that are immediately distinguishable from the rubberised material of the controller's body. That rubberised material is stretched across the whole pad, with textured grips placed on the underside of the 'arms'. Needless to say, this is a controller that's not going slip even during the most hectic of sweaty gaming sessions, and the same can be said of the perfectly pronounced analog sticks. It's also worth noting that the Ultimate's 'arms' aren't as pointed as the standard Raiju's. They've got a softer curve to them -- especially around the back -- and this results in a surprising amount of additional comfort over longer game sessions. Perhaps the thing that's most notable about the Ultimate's design is that you almost don't have to grip it like you would a regular controller -- holding it is pretty much effortless. As with the regular Raiju, the Ultimate's PlayStation face buttons -- X, circle, square, and triangle -- are a joy to use once you've got used to the slight clicking sound that they make. With almost no travel distance they feel incredibly responsive, and it's difficult not to find some small satisfaction in pushing them thanks to that 'click' -- not unlike using a mouse. Are they better than the standard DualShock 4's face buttons? We think that it'll mostly come down to personal preference, but there's no denying that the Ultimate's inputs are sleek and provide welcome physical feedback. Mimicking the DualShock's symmetrical analog stick placement, the Raiju Ultimate's sticks are hard to knock. The controller comes with two sets of sticks that are easily swapped out: one set is concave, while the other is convex. We found the concave sticks to be a better fit for our thumbs, but the convex sticks do offer a somewhat unique feel, with the more pointed design potentially allowing for increased control once you get used to them. Whichever stick set you decide on -- you could even mix and match if you want -- overall stick movement is smooth and quick, but it's the minimal distance between the sticks and their circular casing that sets the Ultimate apart from your usual DualShock 4. It doesn't take much of a push for the sticks to clack against their circular walls, and this does impact how specific parts of games operate. For example, having minimal distance between the stick and its casing means that navigating things like weapon wheels or radial menus is surprisingly easy and accurate. However, we found that general character or camera movement in 3D games is more extreme. In a game like Assassin's Creed Odyssey, for example, we found it more difficult to perform a light jog because the distance of the stick from its neutral position to its full tilt is minimal. You're either walking very slowly or you're sprinting. Although this is obviously something that you can get to grips with over time, it can be a little jarring if you're used to the more gradual movement of the DualShock 4. It's also worth noting that when we first received our Raiju Ultimate for review, there was an unfortunate issue with stick drifting. There were times when we'd stop moving our sticks, returning them to their neutral position, and yet our previous input would still register in the game for up to a couple of seconds. Thankfully, Razer did fix this problem with an update that can easily be downloaded from the official site and installed on the controller. Much like the face buttons, the Ultimate sticks to roughly the same shoulder buttons and triggers as the original Raiju. The Ultimate even keeps the springy M1 and M2 triggers that can be found across from R2 and L2, and they're still very handy additions. L2 and R2 remain smooth and easy to push or hold thanks to minimal resistance, offering what we think are better triggers than the DualShock 4's. Meanwhile, L1 and R1 -- sticking points for us on the original Raiju -- have been improved. They've got a better 'click' to them this time around, and although they're still not quite perfect, they do feel much more responsive as a result. As for the aforementioned M1 and M2 triggers, they can be remapped to any inputs that you like, but once again, we actually prefer to use them as an alternative to L1 and R1. Their positioning makes them easy to reach when your index fingers are already near L2 and R2, and their highly clickable design means that they can be pressed multiple times very, very quickly. We adore M1 and M2, but we're not so keen on M3 and M4, two panel-like triggers that are new to the Ultimate. These flat inputs sit on the underside of the controller, where your middle fingers or ring fingers would normally rest, slightly curved into the 'arms' of the pad. By default, these triggers are mapped to X and circle, and it's immediately apparent that they probably shouldn't be. In short, it's hard not to press these panels in by accident, calling their overall usefulness into question. They, like M1 and M2, can be remapped to any inputs you wish, but unless you can somehow train yourself not to push your fingers into the controller, even when you're just relaxing your grip, then you're going to be activating them on a regular basis. Now while there is potential here for more dexterous players to make much better use of M3 and M4, mapping them to specific actions that need to be performed quickly, for instance, we imagine that most people will want to avoid them. Thankfully, they can easily be turned off using the Ultimate's button remapping. The direction pad is the one main area where we thought the original Raiju really stumbled. Made up of four separate buttons rather than one underlying input that you could roll your thumb over, it made fighting games in particular a chore. To our delight, the Ultimate does a top job of addressing the issue. It comes with two different d-pads that are easily interchangeable, and both of them are far superior to the original Raiju's stiff and awkward design. The first d-pad is an elevated cross, not unlike the d-pad that you'd find on an Xbox controller. It feels responsive and it certainly works well enough, but we prefer the Ultimate's second option, which is more akin to the traditional PlayStation-style d-pad. Interestingly, this d-pad opts for four individual buttons, which at first had us worried due to our experience with the original Raiju, but they're smaller, placed much closer together, and they're a lot less stiff. As such, this d-pad became our go-to option regardless of the game. While we're still not totally convinced that this second d-pad is better than the DualShock 4's, it's still a huge improvement over the Raiju's and it's more than serviceable. As mentioned multiple times already, you can quite easily remap the Raiju Ultimate's buttons. Across the front of the controller there's a horizontal control panel that allows you to remap on the fly or swap between saved settings. Basically, all you have to do is hold a couple of buttons down and you can switch things up whenever you like, transforming the Ultimate into a fully customisable pad. And if you want to go more in-depth, you can always connect the Ultimate to a PC and tweak the settings that way, or take the straightforward mobile app for a spin. 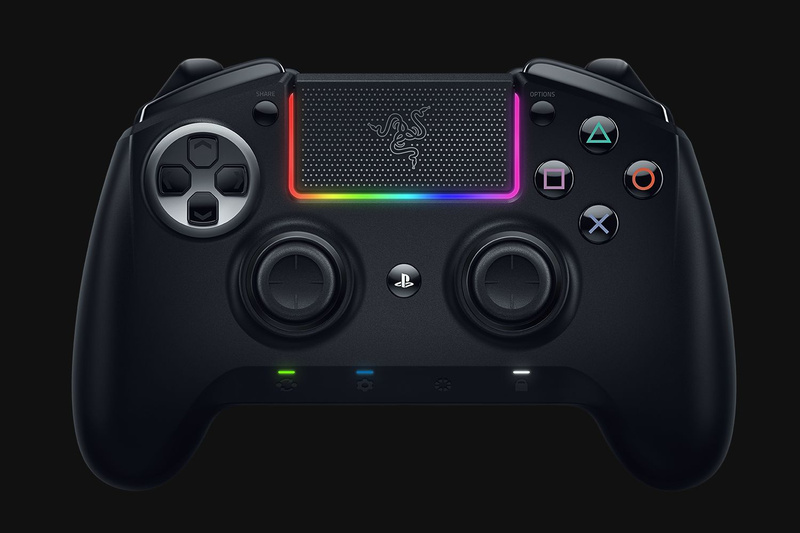 Moving on, the Raiju Ultimate is Razer's first PS4 controller to support a wireless connection to your console via Bluetooth. The original Raiju required a wired USB connection in order to function, but here, you're free to ignore the controller's lengthy USB cable. We wouldn't recommend doing so, however. When connected via Bluetooth, we found that the Ultimate does seemingly suffer from some input delay. It's not constant or consistent, but at points, we noticed some definite latency in a number of games, where our button presses didn't register as quickly as they should have. Needless to say this isn't really good enough for such a pricey controller, but it's not a deal-breaker since you can just hook the thing up and play with a wired connection, which seems to eradicate the delay completely. Still, it's a shame that the wireless functionality doesn't quite cut it. 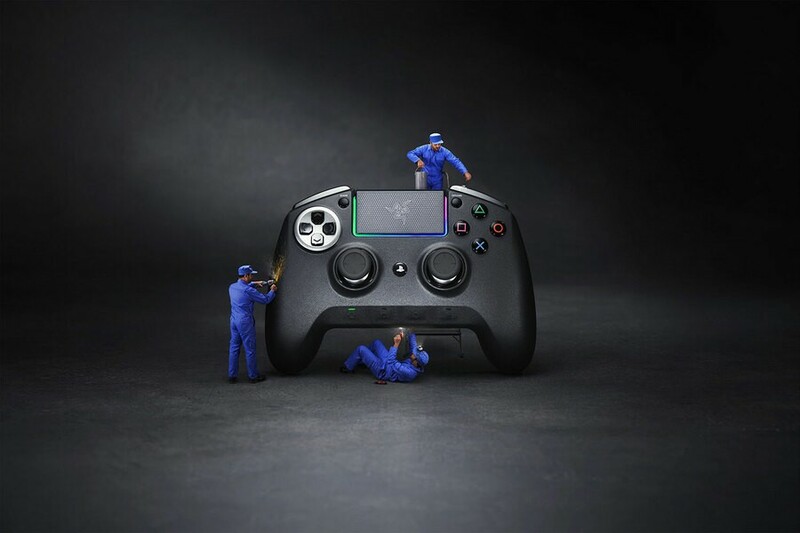 We're hoping that Razer can fix it with a software update. As for the further functionality, the Ultimate does all the things that you'd expect of a PS4 controller. It has a touchpad, a share button, and an options button, all of which are well implemented. The touchpad in particular is a highlight -- it's springy and easier to press than the one on the DualShock 4, and it's surrounded by what can only be described as a super cool rainbow light. It's a sight to behold. Should you buy the Razer Raiju Ultimate? 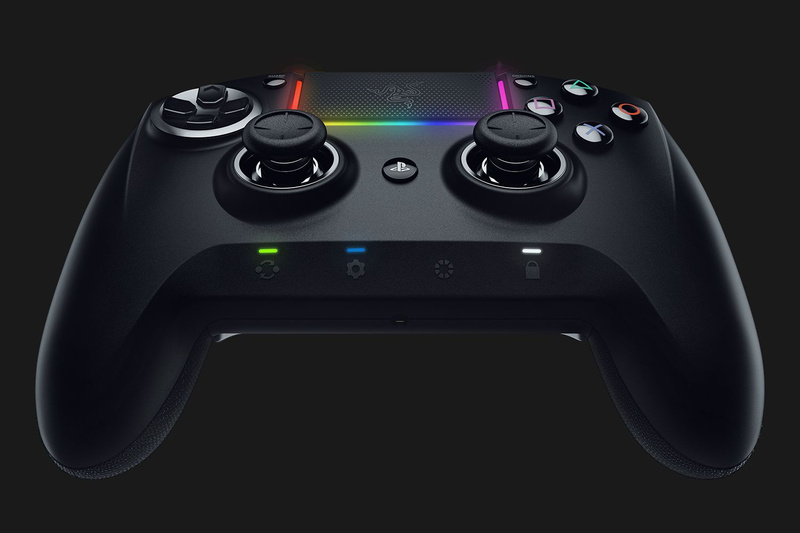 Priced at around £200 -- about £50 more than the original Raiju when that launched -- the Razer Raiju Ultimate is undeniably expensive. 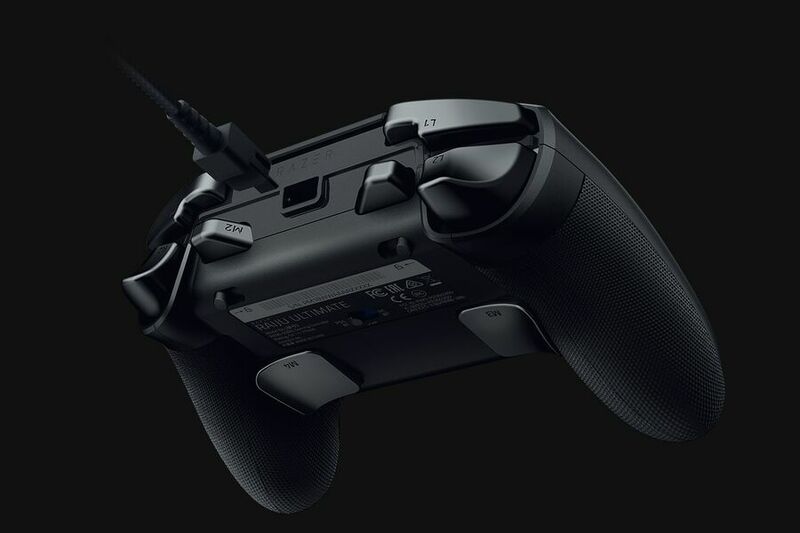 It's a hefty price tag that a lot of people won't be willing to settle on, even though the controller itself is, in our experience, the best "elite" PS4 pad currently on the market. If you take your gaming seriously and you've got the cash, then the Ultimate is well worth a look thanks to its top quality build and the numerous improvements that Razer has implemented over the original Raiju. The fact that it's completely customisable is also a great selling point, but the bottom line is that as a premium bit of tech, it's still not quite perfect. Whether £200 demands perfection is up for debate, but you're always going to have a personal preference towards particular aspects of a controller anyway. All in all, we really, really like the Ultimate despite a few niggling issues. However, as with any product that's going to cost you a fair bit of dosh, our advice is to do some research -- ideally get your hands on one to test it out, if possible -- and question whether it's enough of a jump in quality to warrant the price tag. 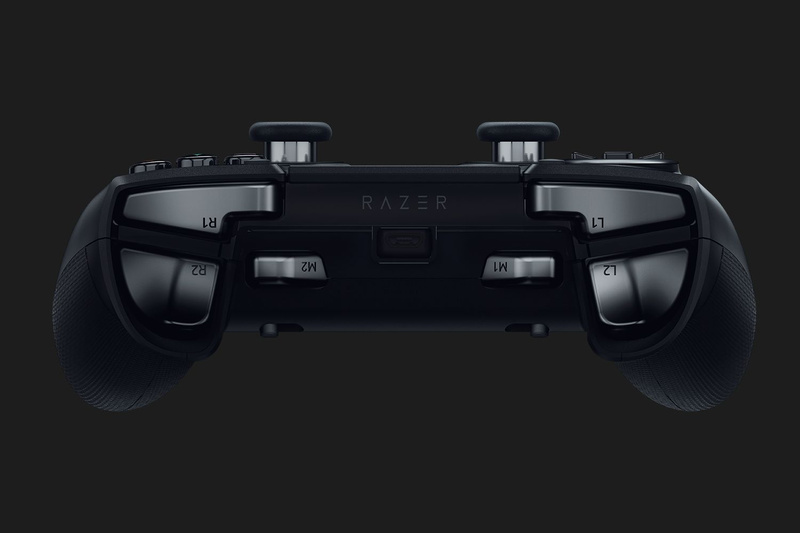 What do you think of the Razer Raiju Ultimate? Are you in the market for a "pro" PS4 controller? Share your thoughts in the comments section below. If anyone's got any further questions about this thing then let me know and I'll do my best to answer. @ShogunRok will you do a competitive shootout review of this and the new Astro PS4 controller when it comes out? The modular nature of that pad has me intrigued but I'd like to get a professional opinion on it first. It's a bit late in the generation to spend that kind of money. I suppose it might be compatible with the ps5, but there's no guarantee of that. If they launched one for PS5 yes, too late now. Sounds decent though. @Bad-MuthaAdebisi Innit? you could buy a VR headset for that. @Turismo4GT Unfortunately it just depends on how busy we are and whether companies are willing to let us review things. Ideally we'd review every controller on the market, but as always, it's a battle of time, resources, and stuff that's just out of our control. That Astro controller is definitely one to keep an eye on though. Never say never. @Amusei Tekken's a very difficult game to play at a good level. Its inputs can be unforgiving and it just takes a lot of practice to get combos and stuff like that right. Not sure a different controller is the one and only answer! Excellent and thorough review, thanks(more so than many recent game reviews, err...). I started to read less carefully after the dealbreaker, though: the thumbsticks short run. I can’t stand that and i don’t want (can’t) get ever used to it. This looks really ugly, I prefer the proper PS4 controller. 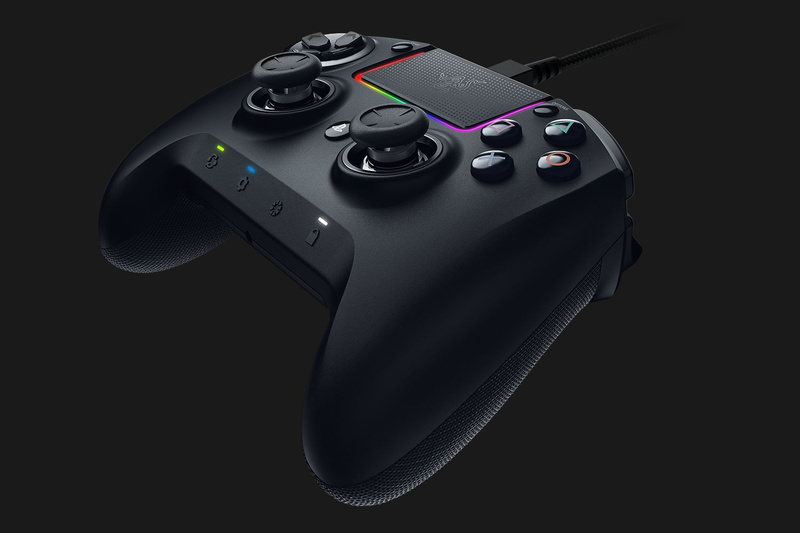 I know for many, the Vantage will be a 'no go' because of its asymmetric layout where as the Astro maybe better as its modular but for me, any controller that isn't or can't offer wireless functionality is a definite no no. I have the first Raiju solid controller much prefer over the official controller. It did become faulty after 8 months issue with the left analogue stick. Warranty is 2 years, to send the parcel back to Germany for replacement cost £15. Razer product tend not to last, if my controller becomes faulty again I won't buy another Razer product. £200 is too much. @ShogunRok How's the battery life? Just got some Pro controllers for Switch recently, and I was blown away to find they have approximately 40 hours per charge. Puts the DS4's battery to shame. @Giygas_95 I think the battery life was about the same as the DualShock 4's, but then I never really used wireless mode for extended periods because of the occasional input delay. @ShogunRok Okay. A pro controller with good battery life would be great. ITS A GOOD IDEA FOR CHRISTMAS!!! The only thing I really want from my DS4 is a longer battery life. It's a pretty good controller otherwise. @Ralizah Never had any problem with that, I just buy 2 controllers and when one needs to be charged, you just switch to the other one. I've used one of these for FIFA in the last few months. One annoying detail is that the square button is too close to the touch pad, so I often accidentally hit the touch pad during a furious slide tackle, putting the game into spectator mode (not good). Another issue is that wireless has noticeable input lag, although that doesn't bother me too much as I always play wired. For £200 you'd expect more solid wireless play though. Another issue is that it seems there is no way to update the firmware without having a Windows machine. I play PS4 only, no Windows machine available. So I seem to be stuck on old dodgy firmware forever. Which is a shame, because the iOS app is pretty good - would have made more sense if you could upgrade the firmware via the app. Love the weight and build of it though, and love the magnetic interchangeable parts. @ShogunRok Is it bigger/bulkier then the original controller. Still looks like an overpriced Xbox one elite controller mod to me. @Amusei To be fair if you're in yellow ranks then you've gotta be pretty good anyway — at least better than most. The vast majority of Tekken players end up stuck in green ranks, according to data. So I reckon that's a pat on the back regardless! @Flaming_Kaiser Than the Raiju? Yeah, it is a little bit thicker, but I'd say it weighs roughly the same, maybe a tiny bit heavier. It's by Razer so from first hand experience with their pads I know it has garbage build quality. Their KB/M stuff is great but their console pads are pure trash, as is their customer support, buyer beware! @Shigurui Customer support is trash, but build quality on the Raiju Ultimate is definitely very good. Great review. Does this have motion control like the Dualshock 4? @mantralux - I'll take your word for that but after 3 of their pads pretty much fell apart in my hands I'll never buy from Razer again. Happy with my Scuf Impact.